I was present at the birth of my son. 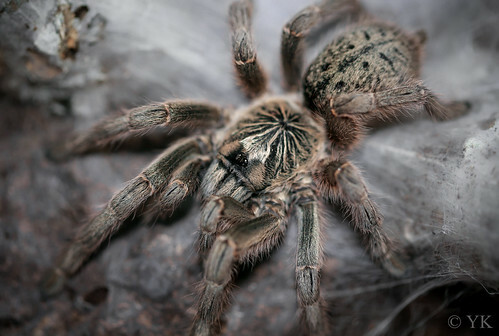 I was there when numerous litters of puppies and kittens were born, and when my Harpactira tarantula, Miss Piggy, kept guard over an egg sac until about 100 baby tarantulas emerged. This is the first time I’m following a music project from its beginning. So far it is just one song, “Michael X”, from an EP, album or maybe some other type of production currently named “Michael X”. The man behind the adventure is named Michael X. All the vocals are sung and all the instruments are played by Michael X. All he has on his website so far is what you see in the YouTube video, below. He also has a Soundcloud page where you can get the song. What I know from Michael X is that the project will be introspective and self-exploratory. His ideas for making his own music have been germinating since he was barely larger than a Harpactira. The first song of “Michael X” offers clues about the theme. The news item at the beginning is part of the song. That is the inception. The mystery will be how the theme develops and what it’ll eventually become. The intriguing part was trying to figure out what sort of music Michael X composes and plays. Is it prog metal, heavy prog rock or art metal? I’d say it’s all of those plus prog/metal electronica. This X-man had better keep me briefed as his further work unwraps itself. Posted on March 15, 2015, in Exploring New Things and tagged Progressive Metal. Bookmark the permalink. 1 Comment. No matter how you would nail down the sound of this Michael X here, it sounds like well thought out songwriting. If he has done it all by himself it’s an impressive first step to start with. It has some vague 90ish feeling and certainly links to Industrial and Alternative Rock resp. Metal, but has also a pop-like note. A professional production could let it shine more. Nice.